The Forest Stewardship Council is an international organization that certifies forests according to standards of sustainable management. 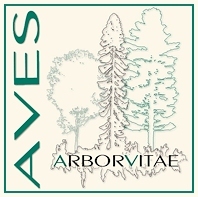 AVES was retained to assist in the development of a national standard for Canada’s boreal forests. We acted as the lead technical writers for development of the standard. Many people and organizations were involved in this very significant effort. Our role was to develop initial draft standards, and modify them over a series of iterations based on feedback from all those involved in the effort. The standard contains criteria which deal with topics such as Indigenous People’s rights, environmental impacts, management planning, monitoring and assessment, and maintenance of high conservation value forests. 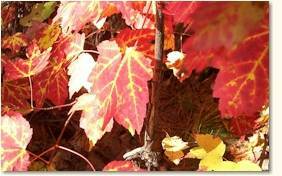 AVES has conducted or participated in more than 25 independent forest audits in Ontario. Ontario’s forest audit program is the most comprehensive of any regulatory audits in Canada, and the auditing protocol is demanding and extensive. A typical audit involves considerable preparatory work, on-site inspections of forest management practices, review of management plans and related documents, and development of a substantial audit report. The reports contain recommendations which the company being audited and the government of Ontario are obliged to address. With several colleagues from KBM Forestry Consultants, AVES co-led a review of Canada’s Model Forest Program in 2001-2002. The review required development of an assessment framework, visits to all of the Model Forests, and assessment of the Forests’ success meeting their goals and objectives, and those of the program as a whole. The assessment concluded with recommendations for improvements to the individual Model Forests, and to the national program. AVES has been involved in several initiatives to develop indicators of sustainable forest management. The largest of these efforts was undertaken for the Forest Ecosystem Management Co-operative in Ontario. In that project, we developed a framework for screening potential indicators, and conducted field assessments of about 80 indicators on two industrially-managed forests. We have undertaken similar work in developing indicators for the Great Lakes Forestry Commission in the United States, for forest products companies, and for the Model Forest program in Canada. AVES was contracted by Wildlife Habitat Canada (WHC) to assist in assessing the abilities of several forest companies to manage for biodiversity values. This effort was part of a WHC program to which individual companies subscribed. It reflected the companies’ interest in taking a broad spectrum of values into account while conducting forest management. We traveled across Canada and assessed the management practices of several companies based on a framework developed by WHC. Following the site-visits we wrote extensive reports which were submitted to the companies and WHC and identified ways in which management for biodiversity could be improved or incorporated into the companies’ management practices. AVES was hired by the Department of National Defence/ Canadian Armed Forces to assess of the compatibility of the forest management presently undertaken on eight training bases with generally accepted Sustainable Forest Management principles and systems. Each base was visited and reviewed, and an overall system review was prepared that included recommendations regarding what components of SFM were relevant in a military training context, and recommendations for improved management. AVES was contracted by the Government of the Yukon Territory to assist in the development of forest management legislation. As part of this effort we surveyed and reviewed forest legislation and policies in other provinces. In this review we evaluated the manner in which several important aspects of forest management are dealt with, including: stumpage considerations, tenure systems, processing requirements, fire management, monitoring and compliance, silviculture funding, etc. The Manitoba Model Forest contracted AVES to assist in developing an ecosystem management paradigm. This project involved reviewing the manner in which forest management was being conducted and identifying opportunities for incorporating approaches which recognize ecological values other than those associated with timber. 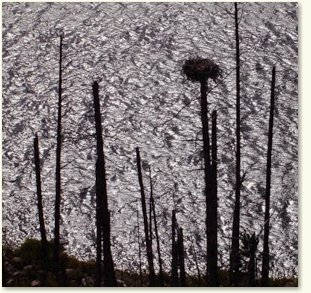 In this project we reviewed management philosophies associated with emulating natural disturbances, managing for wildlife indicator species, concepts associated with ecological hierarchies, recognition of traditional values, and trans-boundary management. Up until recently forest management in Ontario was directed by a series of over 30 inter-related guide documents. The guides each independently required that specific management procedures be followed. Not surprisingly this frequently led to confusion about the manner in which the guides were to be implemented, overlapping and inconsistent direction between the guides and inconsistent enforcement of various guide requirements. The Ontario Ministry of Natural Resources contracted AVES to lead a review of the guides. In collaboration with several sub-contractors, we undertook this extensive review. Key components of the review were consultations with forest managers, government staff, and other stakeholders, and comparison of the guides with recent scientific findings. In the project’s report we tabled 80 recommendations for improvements to the guides and forest management system, all of which were accepted by the Ministry of Natural Resources. As a result of this project, a significant effort is underway in Ontario to consolidate the original 34 guides to six which provide concise and consistent direction. Comprehensive Review of Weyerhaeuser’s Draft Forest Management Plan (Saskatchewan Environment and Resource Management).